One of Netflix’s longest-running series is coming to an end. Deadline reports Orange Is The New Black will end after its upcoming seventh season. From Jenji Kohan, the comedy-drama centers on the female inmates at a federal penitentiary. The cast includes Taylor Schilling, Laura Prepon, Michael J. Harney, Michelle Hurst, Kate Mulgrew, Jason Biggs, and Taryn Manning. 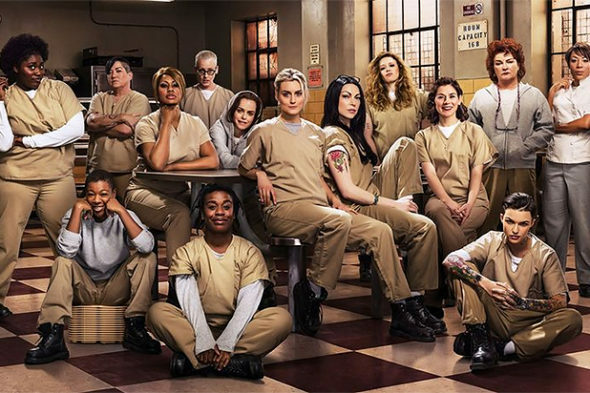 Orange Is The New Black has been one of Netflix‘s most popular original series since it debuted in 2013. Creator Jenji Kohan released a statement confirming the series will end when season seven debuts in 2019. What do you think? Do you watch Orange Is The New Black? How do you want the series to end?